All of our soaps are handmade in small batches of 12-16 bars, using only high quality natural ingredients from sustainable industries (we say NO to palm oil!). Our soap meets the Cosmetic Regulations of Health Canada. The lactic acid in goat’s milk helps to break down dead skin cells, is a natural emollient and easily absorbed through the skin. Vitamins, antioxidants & enzymes from the milk provide skin tissue with valuable nutrients. The milk proteins possess anti-microbial properties and reduce inflammation. Not very often do you find cold process soap in shapes. The old fashioned way of soap making, without the use of harmful chemicals, forms a soap batter that is very thick and the only way to fill molds without getting air bubbles trapped inside the soap bar is to make a very small batch, use a syringe and work very fast. As you can see, it CAN be done! The result is a soap bar that does not only last long & is free of harmful chemicals, it also looks great! Join our Goat Milk Soap Making Class! New this year at LoFoSo Farm! We offer Soap Making Classes throughout the year. 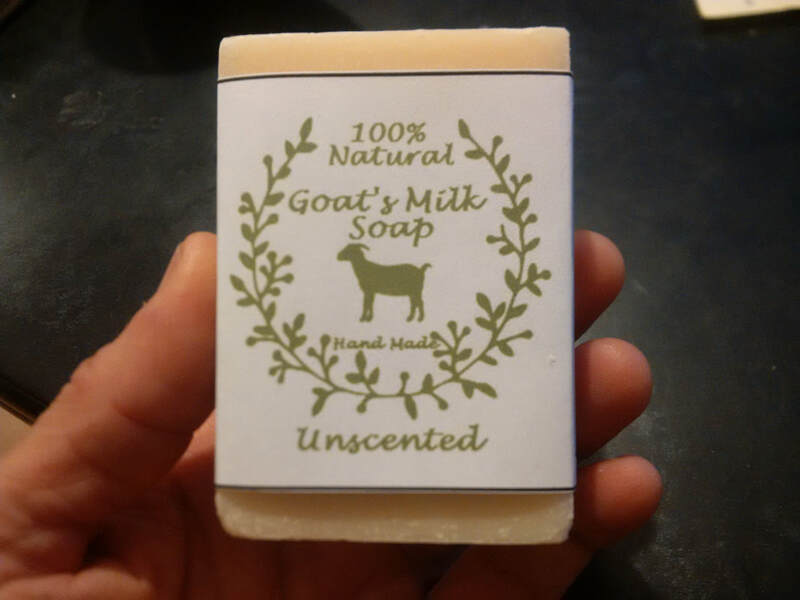 We teach you about the benefits of our natural ingredients and of course you get to make your very own chemical free Goat's Milk Soap with reusable molds! We even offer complete DIY kits so you can make more at home without having to buy the ingredients in bulk. For more information and dates click here!